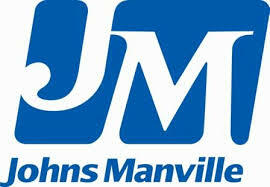 Johns Manville is currently seeking qualified applicants for the position of Manager of Health, Safety and Environmental to be located in our Cleburne, TX plant. The Cleburne TX facility produces fiber glass building insulation for retail, contractor, and commercial applications. The HS&E Manager's focus is to ensure effective management of EHS systems while maintaining a safe workplace and compliance with applicable health, safety and environmental regulations in a multi-shift, 23/7 operation. This position reports to the Plant Manager and will be part of the plant management team. Behavioral Based Safety, Injury Case Management, OSHA 300 Log, Emergency Preparedness and Response, Environmental Permit Compliance and Industrial Hygiene across the Cleburne plant. Demonstrate exceptional leadership in all responsibilities. Create a culture where all levels of the team seek out and utilize data for decision making. Lead efforts to create an employee led safety culture. Experienced in preparing and implementing Behavior Based Safety/DuPont Safety programs and managing for desired outcomes. Leadership skills to direct personnel and processes within regulatory standards. Experience in hazard awareness and risk assessment. Knowledge of regulatory standards and ability to work with respective outside agencies. Ability to work well with upper level management as well as production workforce. Thorough and applied knowledge of Microsoft programs including Word, Excel and PowerPoint.